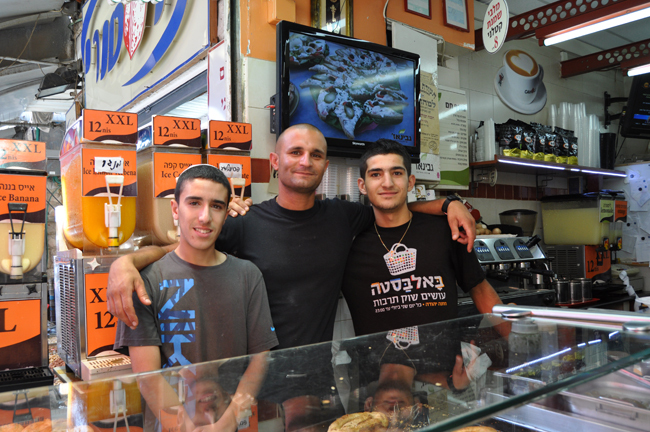 Gitty's husband, Effi, brought the business to Jerusalem from Haifa. The bourekas is made with canola oil — no margarine — and is freshly prepared in-house. Choose from Turkish bourekas, Spanish bourekas, or Boyos (dough with a mixture of cheeses), all served with pickles, tahini, egg and spicy relish. You can also order hot or iced coffee. On the weekends there are also "sweets" — bourekas dough filled with chocolate, halva, nuts or sweet vanilla cheese. 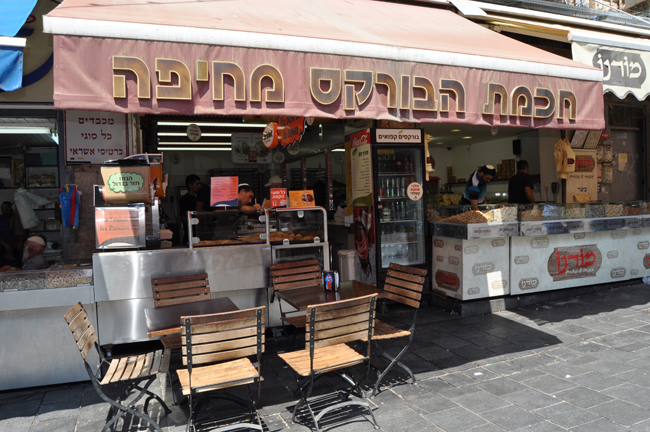 The owners also have a kosher dairy catering company, "Gavinaz," inspired by the different aromas and the special flavors found at the shuk.